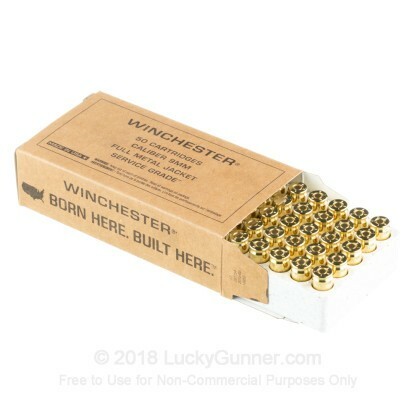 This 500-round bulk case is an affordable way to experience the ammunition created by Winchester for the US Army MHS program. 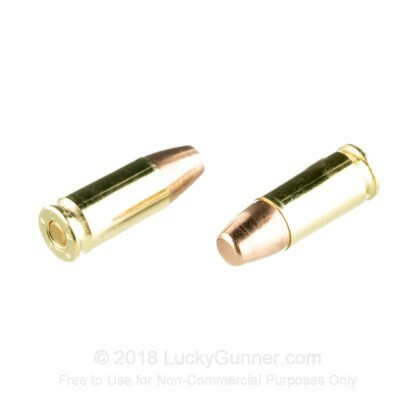 This 9mm Luger ammo is service grade range ammunition with 115 grain full metal jacket (FMJ) projectile. The FMJ bullet has a muzzle velocity of approximately 1190 fps and a matching energy transfer of 362 ft/lbs. An immensely popular range bullet, the FMJ style lessens lead fouling in the barrel, which is especially important for the high-volume shooter who shoots more between cleanings than a regular shooter. 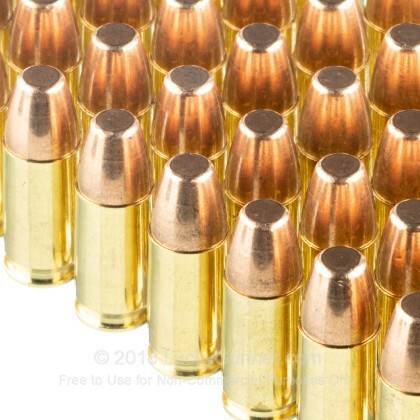 These rounds are constructed using non-corrosive, Boxer-primed brass casings that are reloadable. If you are on the hunt for new range ammo, why not train with ammunition designed for the US Army? Backed by 150+ of experience, you can trust the reliability of this American-made range ammo. 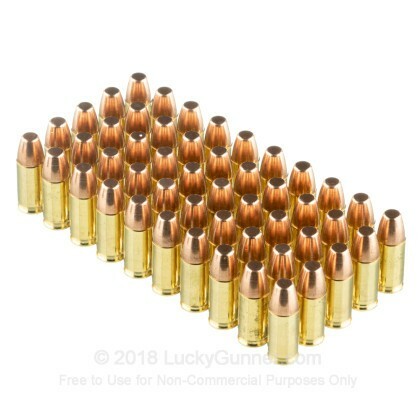 Order your bulk case of this 9mm ammo today! 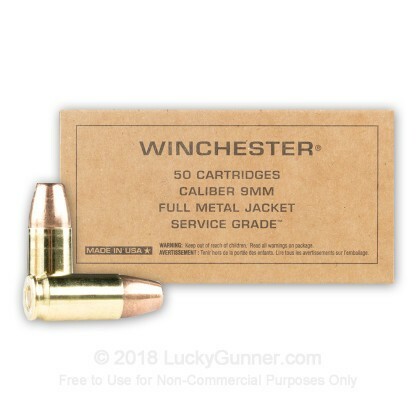 Really good, clean ammo at a great price. I'm buying more!! More accurate than my standard grade of 115grain ammo. Maybe a little more punch behind it. Definitely consider buying another case. 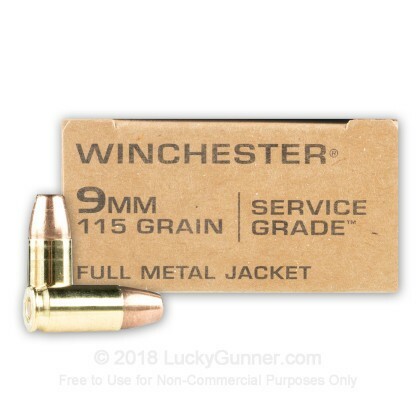 We also have this 9mm - 115 Grain FMJ - Winchester Service Grade - 50 Rounds ammo in stock in a smaller quantity.